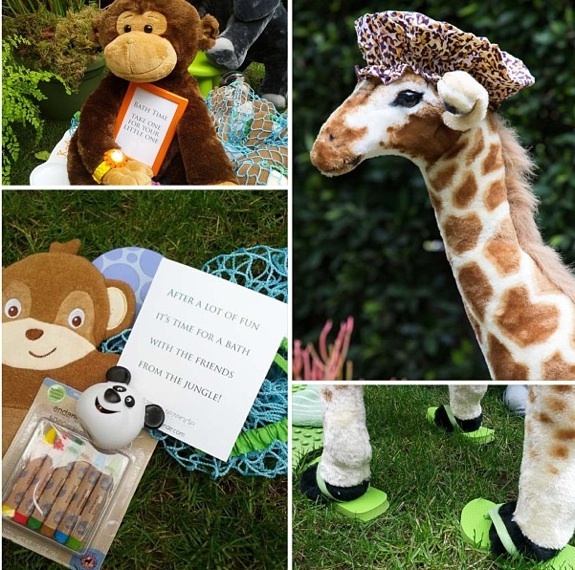 Home » Skyler Berman Celebrates his 2nd Birthday! 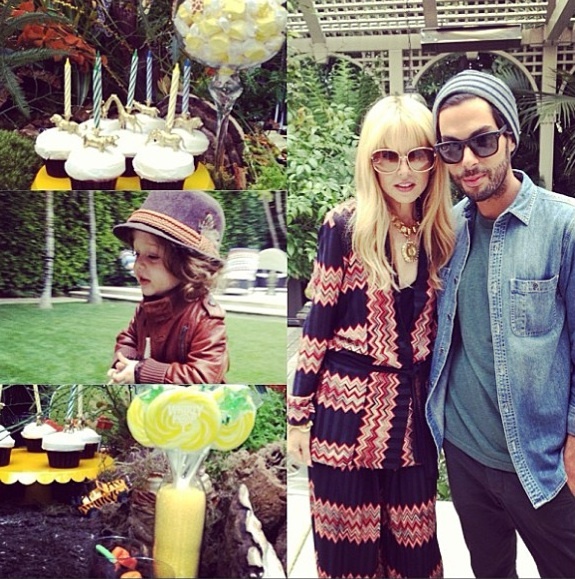 The stars were out in full force on Saturday to celebrate Rachel Zoe‘s son Skyler‘s Birthday! The birthday boy arrived with his mom dressed in jeans, a sweater and biker boots. Inside his party he swapped his knitted cap for a wool felt bowler cap and leather bomber jacket. Clarissa Rezende, the event decorator shared photos of the party on Instagram. Such a cute party! The gold safari candle holders are actually from my Etsy shop called gnomesweetgnomeshop!